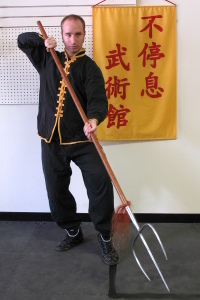 Shifu Greg Neil Butler was instructed by Sigung Chow Liu Quang from Beijing, China. 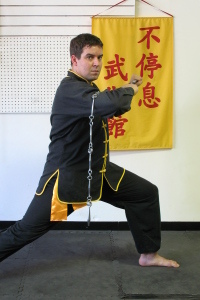 Shifu Greg is the 4th generation master of Praying Mantis - Long Fist and is the only American to teach this system. 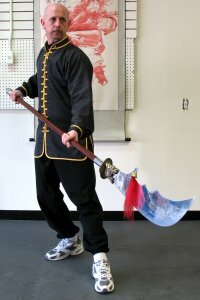 He has over 44 years of experience in kung fu, and has been teaching for over 26 years. 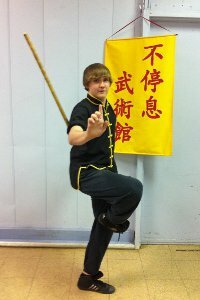 Chris began his martial training at the age of 12. He studied and competed for 7 years under Mrs. Kristy Rees, of Connors International Tae Kwon Do, before joining Shifu Greg Butler. He has studied at Bu Ting Xi since March of 2001, and became a senior student in 2005. Chris is a 1st level graduate, with over 18 years of experience, and provides instruction at the school. Senior students have been with the school for a longer period of time, and have accumulated a respectable wealth of knowledge. They may be called upon to aid the instructor or assistant instructors at times.